The Fresh Roast SR700 Coffee Roaster is the 4th generation of our coffee roaster line. This new model allows the operator to plan out the entire roast beforehand, entering precise points of heat, fan speed and length adjustments; load the beans and sit back and enjoy the show! Adjustments can be made during the roasts. The roasting profile can be saved for exact future roasts. Your Windows PC will need a USB port. 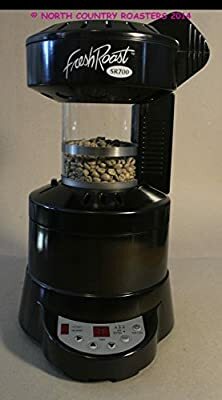 Your SR700 roaster can also be operated manually, independent of your computer. Software is compatible with all 32 and 64-bit Windows XP, Vista 7 and 8 operation systems. Computer interface allowing you to operate the roaster from your Windows PC. Compatible with Window XP Vista Windows 7 and Windows 8. Each modification to your roast can be saved allowing to you replicate the exact roast profile in the future. 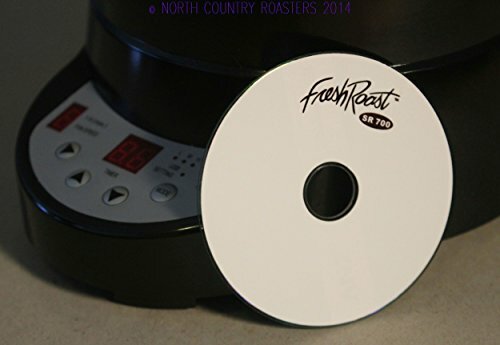 At any time you can modify and save stored roast profiles without actually re-roasting. Roaster operates independent of the computer so you can still roast manually. The new SR700 roaster is the same size as the SR500 model. 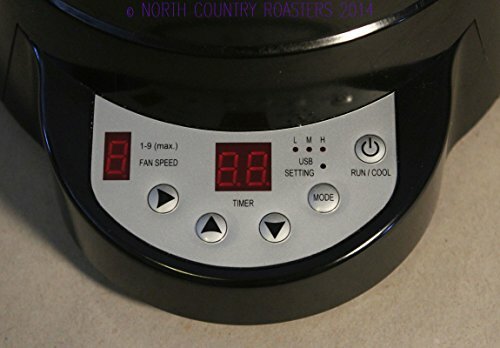 It comes with a mini-CD which you need to upload on your Windows PC or easily download from the importer's website (http://homeroastingsupplies.com). A USB port is required on your device to operate. USB cable included.